Getting links to your website is one of the most important and one of the most difficult tasks that you have to do if you want to get high rankings on Google. If you want to improve the rankings (and improve your backlinks) on your website on Google, it is often much easier to improve your existing backlinks than getting new links to your website. The links to your old domain name should redirect to your new domain with a 301 redirect to make sure that the links and the visitors that come through these links aren’t lost. Unfortunately, backlinks through 301 redirects do not pass the full link power to your website. 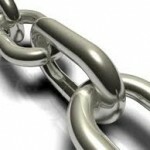 You must do this to improve your backlinks. For that reason, contact the webmasters who link to your old domain name and ask them to link to your new domain. 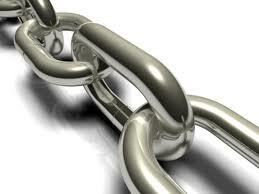 This will increase the effect of the links on your website rankings and improve your backlinks effectiveness. Check your website statistics and redirect all links that go to a non-existing (404) page on your website to an existing page on your site so that the visitors aren’t lost. As above, it’s even better to contact the webmasters who links to the non-existing pages and ask them to change the links. When you’re contacting other webmasters to tell them that they link to your old domain name or to a broken link on your website, you can also suggest new anchor texts for your links (the anchor text are the words in a text link that points to your website). If the website that links to your website links to other websites that are related to your website topic, it’s more likely that search engines will find your website relevant to that topic. If you want to see certain pages of your website in Google’s search results, these pages should also be linked from your own website pages. If a web page is hidden in the navigation of your website then it’s less likely that this page will get a good position in Google’s results. Your website should have a clear and logical navigation that emphasizes the pages that you want to see in Google’s search results.